3 Beds 3 Baths 1 Partial Bath 1,860 Sq. ft.
Wow,this house just got a Christmas present...Brand new stainless fridge & dishwasher coming by 12/30! Amazing pool home in central Port Orange close to shopping, restaurants and a hop, skip & a jump over the bridge & on to the beach! Inviting front porch! Big living room, dining, oversized kitchen w/breakfast bar & nook open to family room. (seller currently using family rm as formal dining!) Warm drift wood colored tile thru all living areas & kitchen! Carpet in bedrooms! 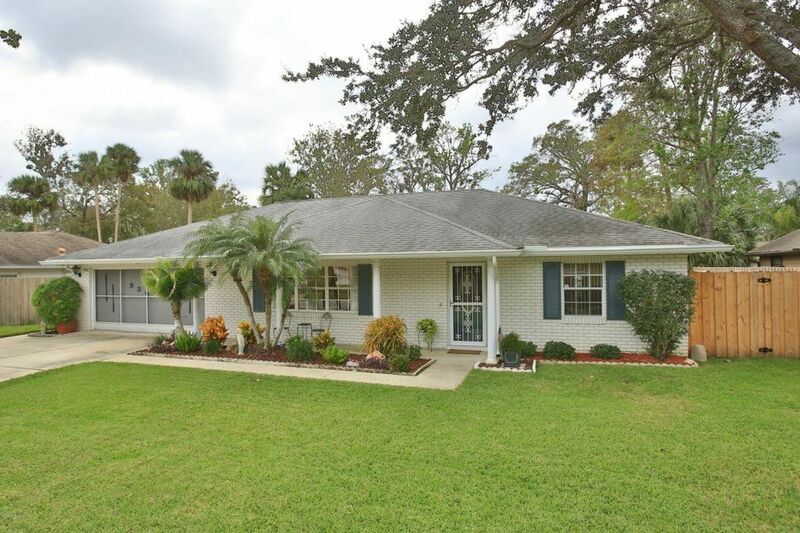 Family room & master bedroom open to huge 12x29 Florida room w/newer insulated roof! 2008 Architectural roof on house! Inside utility room with 1/2 bath that has easy access to screened pool with paver stone decking! Pool comes alive with colored light at night! Big fenced yard w/BBQing patio and utility shed! Directions: Nova Rd south of Dunlawton, right in to Deep Forest. First left on Sandle Wood Dr.